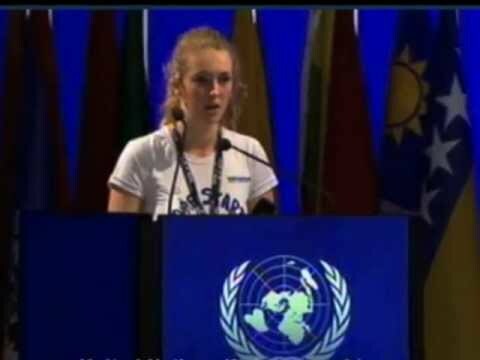 17-Year-Old Addresses UN Earth Summit: "Are you here to save face, or to save us?" If any of us in the climate movement had the chance to speak to world leaders at Rio, it would probably (hopefully) sound something like this. I, for one, could not have put the message any better. Let's make this video go viral, folks. [Brittany] Trilford hails from Wellington, the capital of New Zealand. Last winter, she entered the Date with History contest that invited young people to record themselves giving a speech to the leaders of the world about the future they wanted. She won the grand prize, a trip to Rio for the Earth Summit. She didn’t learn until later that she would actually have a chance to speak to at the summit in person. For more, be sure to read the interview with Brittany over at Grist.